This information is provided in accordance with art. 13 of Regulation 2016/679 (General Data Protection Regulation), pursuant to art. 13 of Italian legislative decree no. 196/2003 (Code regarding the protection of personal data) to users who access the website www.bossong.com and is related to all personal data processed in the manner indicated below. The personal data processed is collected as it is provided directly by the interested party or provided automatically. The data that is automatically collected is browsing data.. This data, although not collected in order to be associated with the user's identity, could indirectly, through processing and association with the data collected by the Data Controller, allow their identification. In particular: IP address, browser and navigation device. Following the sending of newsletters, the platform used makes it possible to detect the opening of a message and the clicks made within the newsletter itself, together with details about the IP and the browser/device used. The collection of this data is fundamental for the functioning of the implicit processing renewal systems (see the item Processing Mode) and is an integral part of the operation of the sending platform. The data is processed exclusively for the purposes for which it is collected, as described below. only in case of specific consent of the user, to allow access to specific and further services such as the sending of future information and promotional communications via e-mail or through electronic means. The provision of data listed in the “Collected Data" section is mandatory to allow the user to access the service. For this reason, consent is mandatory and any opposition to processing or the failure, incorrect or partial provision of data could result in the inability to provide the service correctly. The provision of data for the purposes of sending newsletters for promotional, informational or research purposes is optional and the refusal to give consent to the processing will result in the impossibility of being updated about commercial initiatives and/or promotional campaigns, of receiving offers or other promotional material and/or of sending personalised offers to the user. 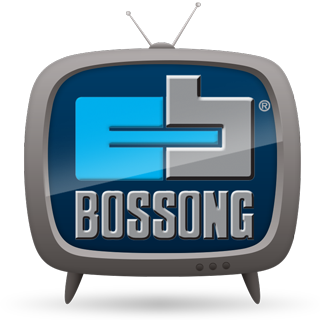 Bossong S.p.A. does not provide any user information to third parties without the consent of the user themselves, unless required by law. In any case, the dissemination and transfer of data outside of the EU area is excluded. 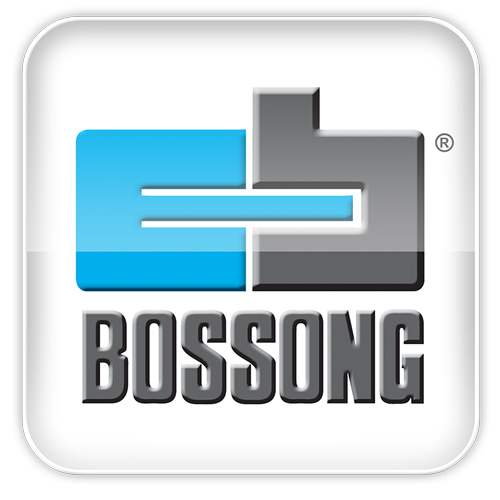 The interested party can withdraw their consent to receive promotional and commercial communications immediately by sending a request to the e-mail address info@bossong.com or by clicking on the unsubscribe link which can be found in the footer of each promotional and commercial e-mail received. Personal data is processed with automated tools for the time strictly necessary to achieve the purposes for which it was collected, involving in any case annual verification of the data stored in order to delete any that is deemed obsolete, unless the law imposes relevant storage obligations. Data processing normally takes place at the headquarters of the company Bossong S.p.A. by personnel or by external collaborators duly appointed as data processors. The complete list of data processors and persons in charge of processing personal data may be requested by sending an appropriate request to the -email address info@bossong.com. The recording and the relative processing are considered valid until the user unsubscribes, an option present in every e-mail, or after 12 months from the last communication of which there is evidence of direct interaction (click, opening, reply). Specific security measures are observed to prevent data loss, illicit or incorrect use as well as unauthorised access. Pursuant to art. 7 of the Privacy Code and to art. 13 of the General Data Protection Regulation each user has the right to obtain confirmation of the existence or not of their personal data, even if not yet recorded, and of its communication in an intelligible form. of the subjects and the categories of subjects to whom the data may be communicated or who could learn of it as appointed representative in the territory of the State, as managers or employees. Furthermore, the interested party has the right to obtain from Bossong S.p.A. The right of complaint to the Supervisory Authority. In order to run properly, this website might install on your computer or mobile device small text files named “cookies”. This website use just technical cookies for the functionalities and the standard settings, such as: language, login and other view settings. Technical cookies are “session” cookies: they are not saved permanently, as they will only stay on your device until you stop browsing. The use of this kind of cookies is strictly limited to the session identification transmission (consisting in casual numbers generated by the server), that is necessary for a safe and efficient browsing experience. This website uses Google Analytics analysis instruments for the purpose of providing aggregate Service usage statistics. If you want to disable or delete cookies of this service you can do it by changing the settings of your browser on your device. Note that if you set your browser to disable cookies, some parts of this website may not work properly. If you wish to disable your browser from receiving cookies you have to change your browser settings. You can delete cookies anytime form the hard disk of your device. This website can embed occasionally videos, services and other contents form social networks and other services.